I've created a new feature here on The True Book Addict called TTBA Weekly News. It seems like we all have some kind of news going on every week, whether it's what we're reading, new blog events we're hosting, or news from our personal lives. So I decided to create this feature to report any news regarding my blog every week on Monday (in combination with Mailbox Monday). This feature was inspired by It's Monday! What are you reading? hosted by Sheila at Book Journey and The Sunday Salon. 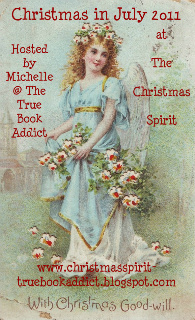 My second annual Christmas in July event starts Friday over at The Christmas Spirit. A whole month of Christmas fun in the middle of summer. Hey, maybe it will cool us down! I'm also looking for people who might like to write guest posts. Click the button for full details. Hope to see you there! 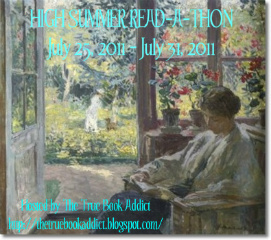 It's time to sign up for the High Summer Read-a-Thon. It runs from Monday, July 25 through Sunday, July 31. For full details and to sign up, click the button. Would love for you to join me! I am currently reading The Book Thief by Markus Zusak, The Widow of the South by Robert Hicks, Dante's Journey by JC Marino, and Johnny One-Eye by Jerome Charyn, which I'm reviewing for Tribute Books on Wednesday. Also starting To the Lighthouse by Virginia Woolf for the read along with Wallace at Unputdownables. Still trying to locate Roots by Alex Haley so I can join in on the read along with Laura at Book Snob (yes, most of my books are STILL in boxes). I am still so behind on review books and I'm not dedicating enough time to my writing. Plus, I'm steadily looking for a job I can do from home and considering doing Camp NaNoWriMo in July or August. The latter is still on the decision scales. So I'm really going to be making a concerted effort to start limiting my time online. Sort of like a time limit. Allow myself a certain amount of time a day to get online stuff done and once the time is up, I'm off. We'll see how it goes. Mailbox Monday, created by Marcia, is on tour and is being hosted this month by Bluestocking. What's happening with you lately? 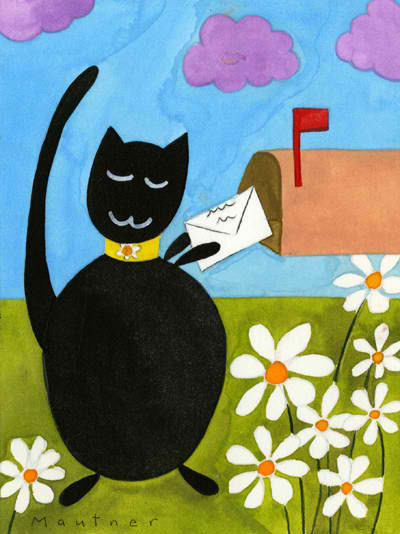 Any good books read or received in the mail? I am thinking of participating in the The Girl with the Dragon Tattoo read along . This book has been on my shelf forever! Congrats on your wins! Happy Reading! Great dollar store finds! Enjoy your new books. I told you that The Dollar Tree rocks! I love the title and cover for Fa La La La Felt. Cute! I'll be adding the button for the Christmas in July event on my sidebar. I can't wait. Oh wow! So much going on. Hope you find the job you are looking for. :) And I'm trying to think if I might be able to slip reading in that week of the read-a-thon. I'm going to have to wait until closer to see. But wow! You are busy here. :) Hope you have a great week. I need to see if there's a Dollar Tree in my area. Nice finds!